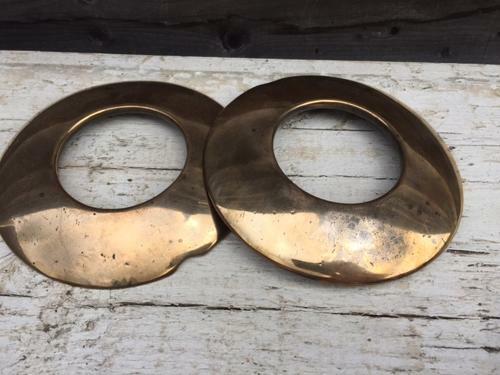 Victorian Bronze Pub Quoits. Both initialled AH on the underside. I have nver seen Quoits in anything other than cast iron before. Usually played outside in old pubs. A clay mound with an iron spike became the target for the Quoits, any that missed bedded into the clay.